The Old Princethorpians Association has launched a new initiative, OP Friendly Faces, which it is hoped will benefit many of our students as they leave the College and move on to university. OP Friendly Faces aims to link past pupils established at university with first year OP students. 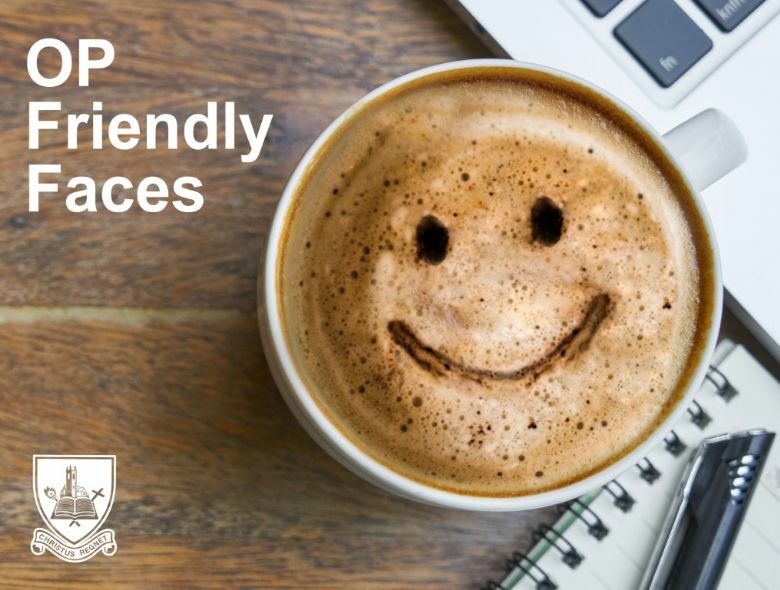 Providing a friendly, familiar face to meet up with over a coffee (compliments of the OPs) or having someone to call in their new uni town or city will, we hope, make for a smoother experience in those first few weeks away from home and help establish a support network of OPs in universities across the country. The Upper Sixth leavers received information on the scheme in the Trinity Term and at their Thanksgiving Eucharist and more information is available on A-level Results Day in August. Comments OPs Secretary, Melanie Butler, "We have OP Friendly Faces in around 30 university towns and cities and would like to expand on that significantly and get more of our leavers matched up for the new academic year." If you are interested in becoming an OP Friendly Faces for this year's Upper Sixth leavers, or would like an OP Friendly Face to support you please email Old Princethorpians.